"The dark lager story reveals itself to be surprisingly riveting, with a host of intriguing subplots." 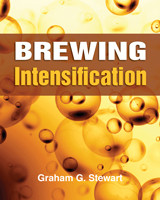 This book addresses both historical and technical brewing topics with a balance of science and wit. Winner of the 2018 Gourmand International Award for best book about beer published in the United States! Dark Lagers draws on the diverse experience and extensive knowledge of Thomas Kraus-Weyermann and Horst Dornbusch, both established figures in the brewing world. The authors met by chance on the tradeshow floor of the 1999 Craft Brewers Conference: Horst, author of several books and owner of a craft brewery in Massachusetts, and Thomas, a Bavarian maltster steeped in German beer culture. A series of collaborative projects followed, from producing historic and classic beers to writing articles in brewing industry journals—and now, this book. Dark Lagers addresses both historical and technical brewing topics with a balance of science and wit. First, the authors tell the story of lagers, which begins in or around the sixteenth century and has many subplots in terms of history, politics, climate, and microbiology. Until now, many aspects of the story have never been told in a definitive or authoritative publication. Then, the authors share 40-plus recipes for dark lagers of three general types: classic, craft, and innovative. They test-brewed about half of the recipes in the pilot brewery of the Weyermann® malting plant in Bamberg, Germany, and the other half in different-sized breweries in the United States and Canada. 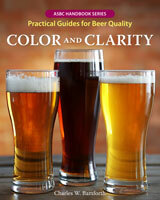 Craft brewers, home brewers, and brewing students will find this book an invaluable resource. 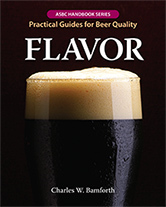 It provides not only the background necessary to understand the evolution of dark lagers but also dozens of unique, tested recipes. Brewing professionals will be intrigued by the “history and mystery” of dark lagers and enjoy a really good read! The First Beers of Humanity: Pale Ales? Is the Answer Blowing in the Wind?